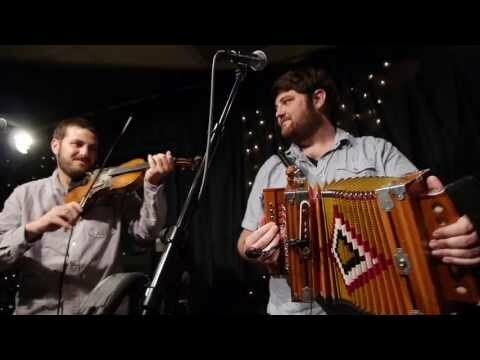 The Revelers, founding members of the Red Stick Ramblers and The Pine Leaf Boys have joined together to form a Louisiana supergroup which combines swamp-sop, Cajun, country, blues, and zydeco into a powerful tonic of roots music that could only come from southwest Louisiana. As individuals, each is in high demand having performed and recorded with T-Bone Burnett, Natalie Merchant, Linda Ronstadt, Preston Frank, Walter Mouton, Mamadou Diabate, the Duhks, Cedric Watson, and Tim O’Brien, to name a few. As a group they play with a sense of empathy and depth fostered after years of music making. They appeared on the 2011 season finale of Anthony Bourdain’s No Reservations, and were handpicked by David Simon (producer/creator, The Wire) to be featured musicians for the third and fourth seasons of HBO’s Tremé. *Online Pricing reflects transaction fee. When you click to purchase tickets or packages, you will leave our website and visit our box office at vendini.com. If you intend to purchase tickets for multiple events, please click “continue shopping” in the pop-up Vendini window to add other tickets. You may continue to browse our website for more information. Advance purchase is recommended as shows are known to sell out. We cannot offer refunds or exchanges. Student ticket pricing applies to any student enrolled in elementary, middle, high school or any high learning institution, regardless of age. Patrons of any age must have a ticket to have a seat in the theater. “Lap children” ages 4 and under will be admitted admission-free with a hand-stamp. We ask parents to consider the length and subject matter of any show as well as the best interests of your child and the audience-at-large when deciding whether to bring a young child to an AACA event. AACA will, upon request, reserve seats for patrons in wheelchairs and will make other accessibility accommodations, such as early seating, on a case-by-case basis. AACA Members may reserve seats for any performance, upon request, until 3pm on the Friday before the respective performance. Seating for AACA members begins 40 minutes prior to curtain. General admission seating begins 30 minutes prior to curtain.